East (to the right) of the architects’ office is a modest building constructed in 1909 at a cost of $8,000 to supplement the Carter Transfer & Storage complex on 8th Street. 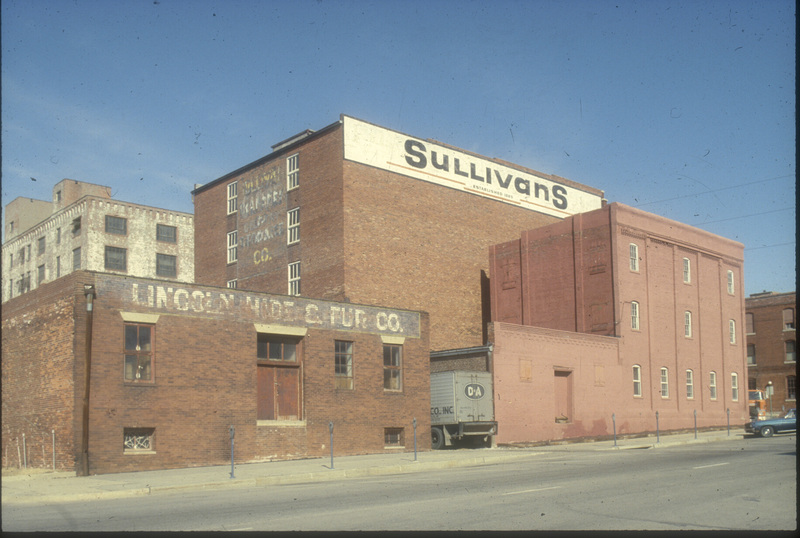 Its later use by Lincoln Hide & Fur Company was long recalled by the remnants of a painted wall sign on the south front of the building. The sign was adapted and refreshed when the building was renovated in 1993 by Randy Cipriano.